Warehouse operations are a vital part of every retail and manufacturing company, and there’s a close correlation between satisfied customers and efficient warehouse operations. While small to midsize companies may not have the capital to invest in the latest robotics automation technology, there are a few practical steps they can take to improve efficiency significantly. Expand your warehouse upward instead of outward. 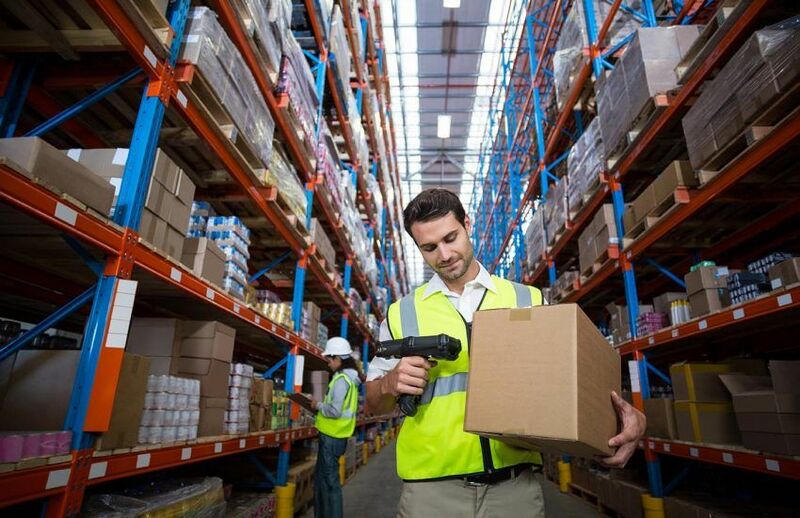 One of the most common culprits of warehouse inefficiency is having too much inventory. And it looks like this problem is only going to increase over the next five years. In a 2018 study from Zebra Technologies, one of the key findings was that there’s across-the-board customer demand for personalization. And it’s driving an increase in the number of SKUs coming into the warehouse. Unless companies expand their warehouses to make room for more product, they’re going to create clutter and inventory accuracy problems. Even though warehouse real estate is typically less costly than other commercial real estate, warehouse expansion projects can still set a company back several hundred thousand dollars. Plus, when you factor in time spent planning, obtaining permits and coordinating construction crews, it can become a significant distraction and time drain. Before considering an outward expansion, warehouse managers should think about building upward. 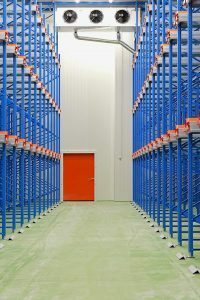 Depending on your inventory, available ceiling clearance and equipment, you may be able to stack the equivalent of another warehouse on top of what you already have by building your shelving and storage vertically.Keep in mind, however, that expanding vertically will require additional investments beyond shelving; you’ll need to ensure your forklifts can reach pallets on the top rack, for example. Also, you’ll need to invest in long-range mobile computers to ensure warehouse operators can read barcode labels on the top shelf while standing on the shop floor or sitting in a forklift. Otherwise, you’ll create situations where workers are climbing ladders to get close enough to read labels, which is a time waster and a safety concern. Use AIDC (automatic identification and data collection). It’s hard to believe in 2018 there are any warehouses still relying on handwritten notes and paper spreadsheets to manage inventory, but it is still a reality for many. Only about 64% of warehouses and distribution centers are using handheld computers with built-in barcode scanners, and only 59% of supply chain decision makers say their companies are using handheld barcode scanners, per research from Zebra Technologies. However, within the next 10 years, those numbers are expected to reach 97%, representing 33% and 38% increases, respectively. Using barcode labels on products, cases, and pallets can improve warehouse efficiency and productivity immensely. Barcode labels also play an essential part in improving inventory accuracy — letting warehouse personnel know what’s available, in what quantities, and exactly where to find it. Costs for the necessary wireless infrastructure, hardware, and software have decreased, making auto ID systems a more worthwhile investment than ever before. Advancements in barcode scanners have made the process of scanning, verifying, and sending information to the warehouse management system (WMS) easier than ever. An industrial barcode scanner, for instance, is fully protected with an IP65 rating and has multiple readers built-in including an extended range laser that can accommodate intensive scans at distances of up to 45 feet. It’s a perfect fit for forklift operators and put-away applications, and it’s ideal for one-handed operations in a warehouse or manufacturing environment. Perform regular cycle counts/ audits. The cycle time begins when a customer makes a request, and it ends when an item is ready for delivery. You can account for cycle times in any kind of order, such as customer orders, manufacturer orders, and purchase orders. The best way to ensure you’re optimizing cycle times is to conduct an operational audit to see how long it takes to complete processes in your supply chain. Is your inventory organized in a way that makes sense? Is order picking moving as quickly as possible? Performing regular cycle counts is an excellent way to improve your cycle times. As opposed to doing a comprehensive physical inventory count, cycle inventory counting focuses on an inventory subset, and it occurs continuously throughout the year. Cycle counts are less disruptive to daily operations; they provide an ongoing measure of inventory accuracy and procedure execution; and they can be tailored to focus on items with higher value, higher movement volume or that are critical to business processes.When a cycle count is performed, two inferences are made. The primary inference is that the accuracy of the items in the cycle count can be used to determine the accuracy of the items in the warehouse as a whole. The other inference is that if you find an error in the cycle count then that error could be expected to occur for other items in the warehouse. Capture KPIs and monitor your performance. Another major drawback of operating your warehouse manually is that it’s nearly impossible to capture key performance indicators (KPIs). If, on the other hand, you’re using barcode labels, inventory management software and barcode scanning technology, this will be a natural next step. Do you know your critical productivity and costs on shipped orders, cost per box and cost per line shipped? Before you can make warehouse improvements, you need to have a thorough understanding of these numbers, and how variables affect your warehouse’s productivity. Only then, can you report feedback to your employees.The simple act of measuring operating metrics and reporting the results to your employees will result in an improvement even if you do nothing else with the data. Why? Most employees want to know how they’re doing. By setting expectations and then telling everyone how they’re measuring up, you can improve overall productivity. Establish warehouse efficiency metrics so that you can measure the success of your improvement initiatives. Managers and employees alike should have access to this information, as positive feedback on performance will continue to feed productivity. Implement a productivity incentive program. Make sure the program parameters are clearly defined and easy to follow. Solicit employee input on the program to ensure the incentives – whether cash, gifts or time off – align with what’s important to them. Grant rewards in a timely manner such as weekly, bi-weekly or monthly. Minimize the amount of administrative effort required to operate the incentive program. Following these five tips can have a significant impact on warehouse productivity. One more idea to consider is the layout of your warehouse. For example, how far does an employee have to walk to retrieve a barcode label or packing list from a printer? Studies show that eliminating just six minutes of walking per hour leads to thousands of dollars in savings over the course of a year. Interested in learning more ways to improve your warehouse efficiency? Contact an EMS Barcode warehouse operational specialist today.